3.5 out of 5 based on 32 bloggers and 3 commenters. 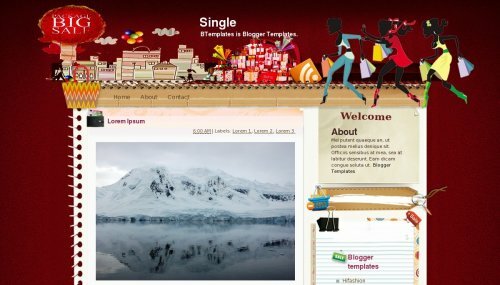 Single is a free blogger template adapted from WordPress with 2 columns, right sidebar, girly looking and vectorial elements. Excellent template for blogs about christmas, fantasy or fashion. Erreur d’analyse XML, ligne 1859, colonne 9 : XML document structures must start and end within the same entity.